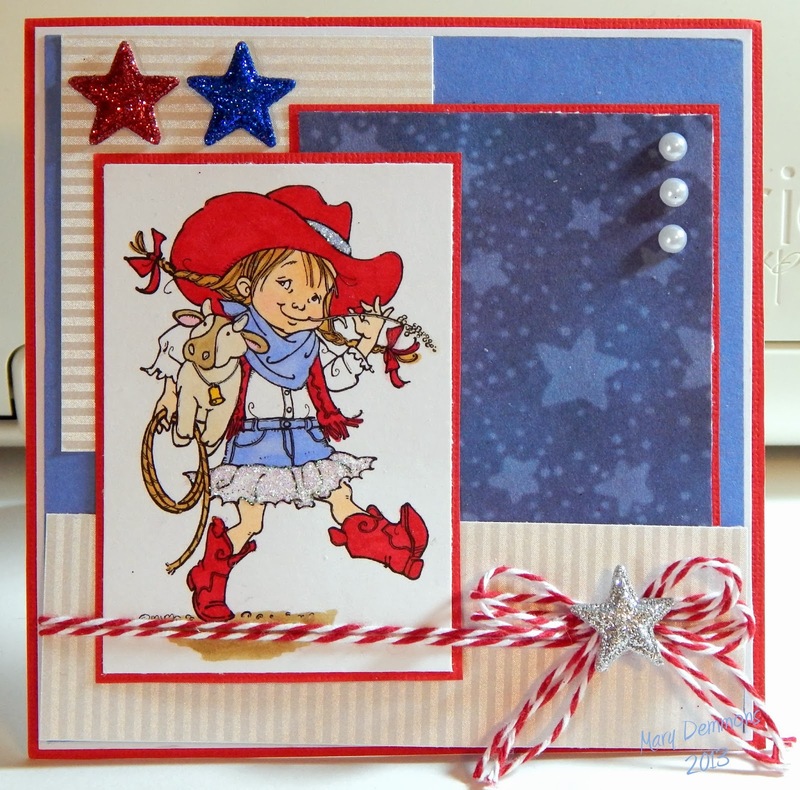 The image is Howdy and here is a direct link to it at Mo's Digital Pencil. This is adorable, Mary! Love the red, white, and blue color scheme and the sparkling stars. I can see why it's a favorite! Thanks for joining us in Mo's Challenge.